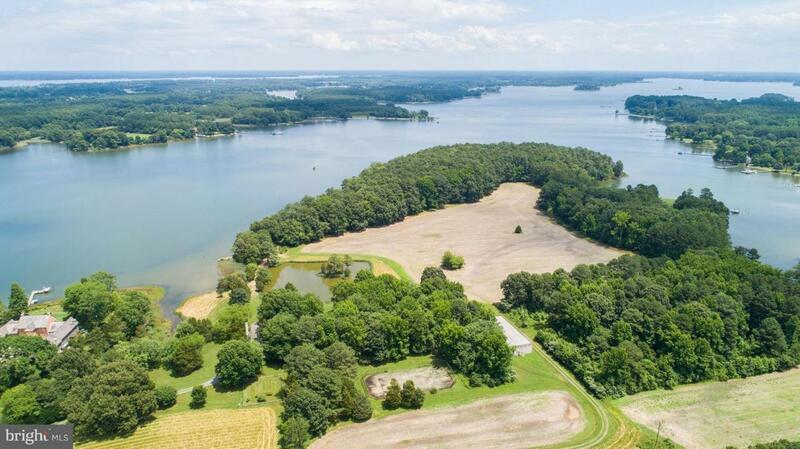 BROAD CREEK WATERFRONT FARM: Spectacular point, 60 acre farm with 3100 ft of shoreline and very deep protected anchorage. Mature woodland, fields, pond, grounds and sandy beach with boat dock. Spectacular water views. Property has new perk/SDA, ready for building your dream house, but for the present has a comfortable residence, pool, tennis court and large barn. Suitable for horses and hunting. Listing courtesy of Shoreline Realty.